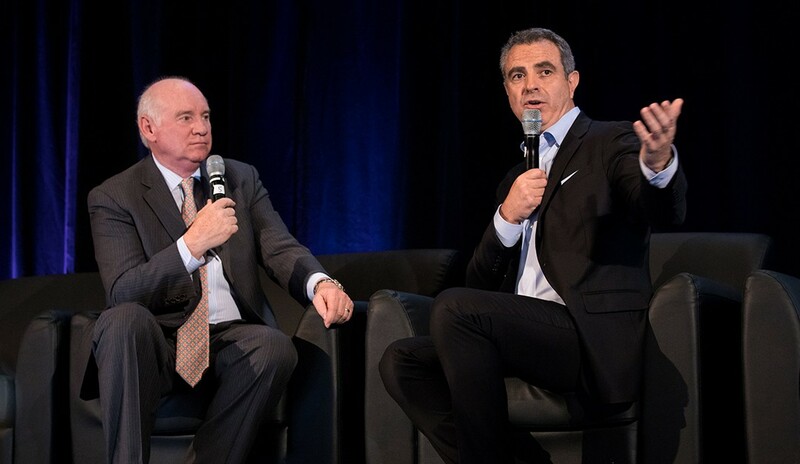 The CEO of the North American training and coaching firm Buffini & Company sat down for a one-on-one with RISMedia President and CEO John Featherston during the annual event, held last week at the Harvard Club of New York City. 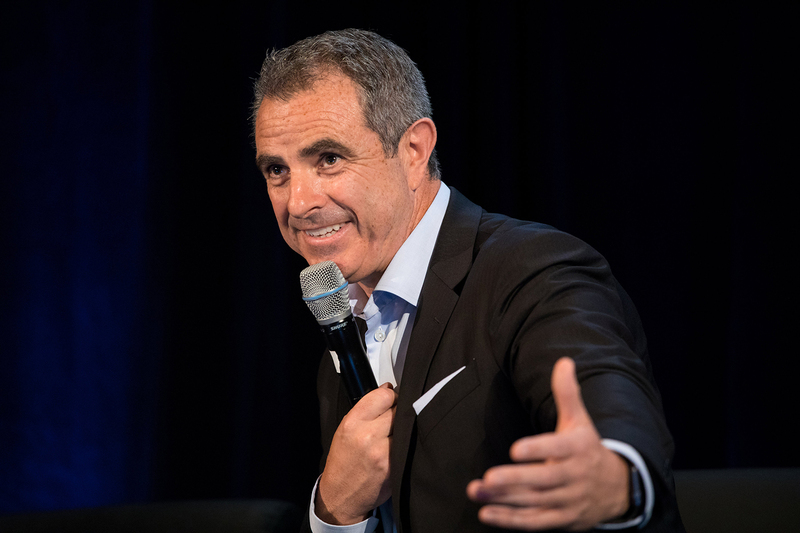 Addressing an audience of 235 of the industry’s leading brokers and executives, Buffini shared candid insights into the challenges confronting today’s brokers and their agents. Following are highlights from the discussion. John Featherston: Dermot, first tell us about what Buffini & Company is today. Dermot Buffini: We are what we’ve always been. We started 22 years ago with an idea that we could raise professionalism in the real estate industry, because creating a great experience for the customer could help people work by referral. My brother came here from Ireland and we learned from our father’s painting business that you have to be able to put your name to your work. We were always cognizant of our good name. There’s accountability to it. When Brian got into real estate, that’s what he wanted his customers to do, so he started to systematize it. He started doing seminars, but the seminars have limitations. People go to a seminar but by lunch the next day, they’ve forgotten what they learned. So we got into the coaching business. Then companies wanted to train their own agents, so we built training products. JF: What are some of the biggest needs among the agents you work with ? DB: Twenty-two years ago, people needed help. And 22 years later, people really need help. We’re living in the land of distraction and confusion. Our clients want to know what’s next. They come to us with a license and enthusiasm, and over time, they meet the reality of real estate. People need clarity and direction, and a level of leadership. They need to trust you. They want to follow you, but they want to know that you know where you’re going. JF: And what is today’s consumer looking for? DB: The consumer doesn’t care about your branding. Consumers want good people who bring a sense of calm and methodology. They want to know that what you told them was going to happen will happen. JF: In addition to working with agents and agent teams, you work with brokerage firms. Where do you see your value to brokers today? DB: Our philosophy—our mission—is to impact and improve the lives of people. People may achieve a lot professionally, but not personally; we said, ‘we can do both,’ and the market came to us. The best way to reach people is by putting the broker or manager as the person of influence…the person of certainty. You may have a top producer in your office working 31 hours or more from their home office saying, ‘Why should I come in?’ We say, you need to get in the office. You need to be around real estate people and in touch with your broker. DB: The future of real estate is about creating great service. At the end of the day, (brokers are) hugely impactful people. You’re people of influence and have the ability to impact someone positively. You have to direct agents, and the best way of providing value to them is to mentor them. You guys know how this business works and you know the principles that will get someone transactions. JF: What’s the true meaning of service today? When people refer someone, they are referring an experience. That person made me feel safe; they made me feel good. They brought a sense of peace and reassurance. At the end of the day, people are looking for that. When people tell us they’re busy, that’s a dangerous answer. That’s great, but busy doing what? When people have a system, they calm down. Stop doing so much stuff. Do less. Tell people who you are and what you believe. Cut out the noise—eliminate the distractions.